When our Group Scout Leader, Paul Masters, was young, he was a Cub, Scout, Venture Scout and Leader in the 1st Cobham (Surrey) Scout Group. 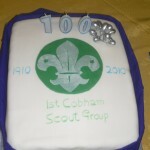 1st Cobham celebrated their 100th Anniversary during 2010 and Paul was invited to attend a church Service at St. Andrew’s where new colours (Group flags) were dedicated. 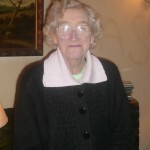 This was followed by a reception at the Scout Headquarters where Paul met up with Janet Soan his Akela from 1970 – 1973 and his Patrol Leader Adrian Mills when he was in the Scouts in 1975. 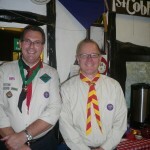 Adrian left Scouting at the age of 18 but returned as a leader in 2009 and is an Assistant Scout Leader at 1st Oatlands (Weybridge, Surrey) Scout Group.